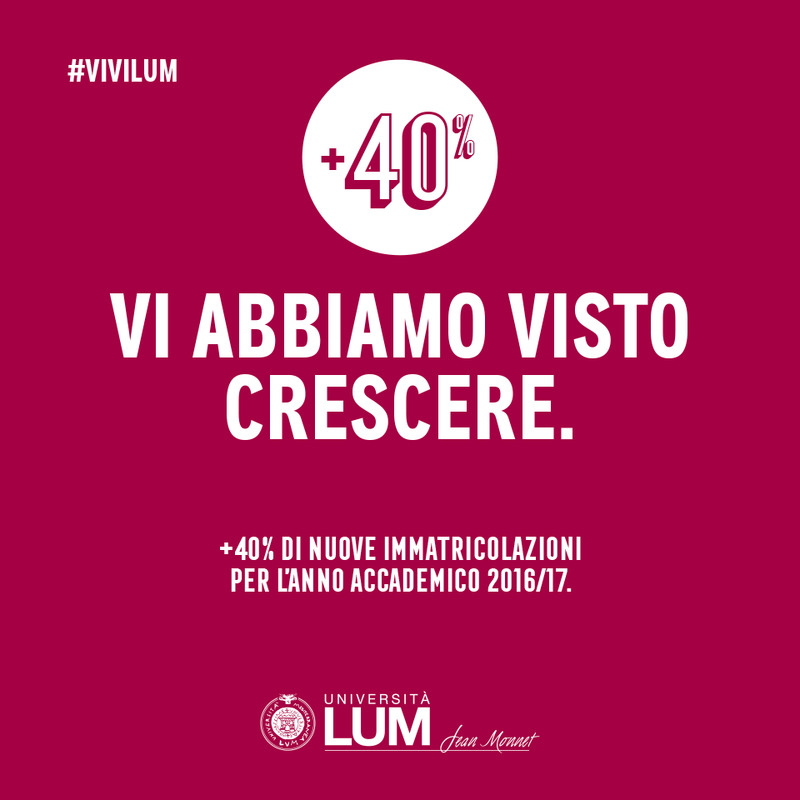 University LUM Jean Monnet is a model of excellence among the Italian public and private universities. 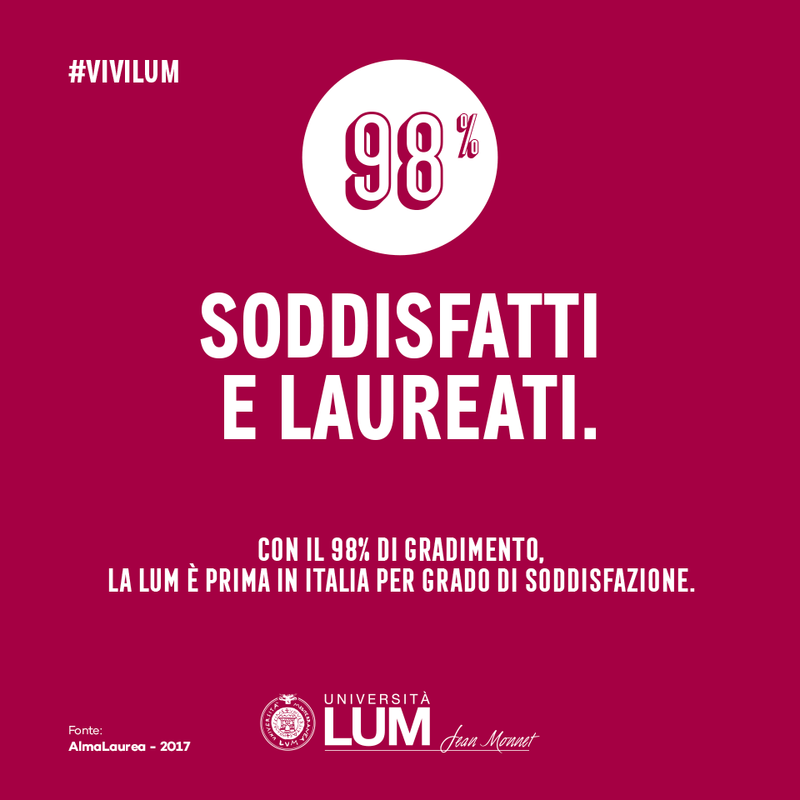 This result is confirmed by the results of Sole 24 Ore that awards to LUM the first place as for the appreciation of its own students, with an assessment of 8.9/10. 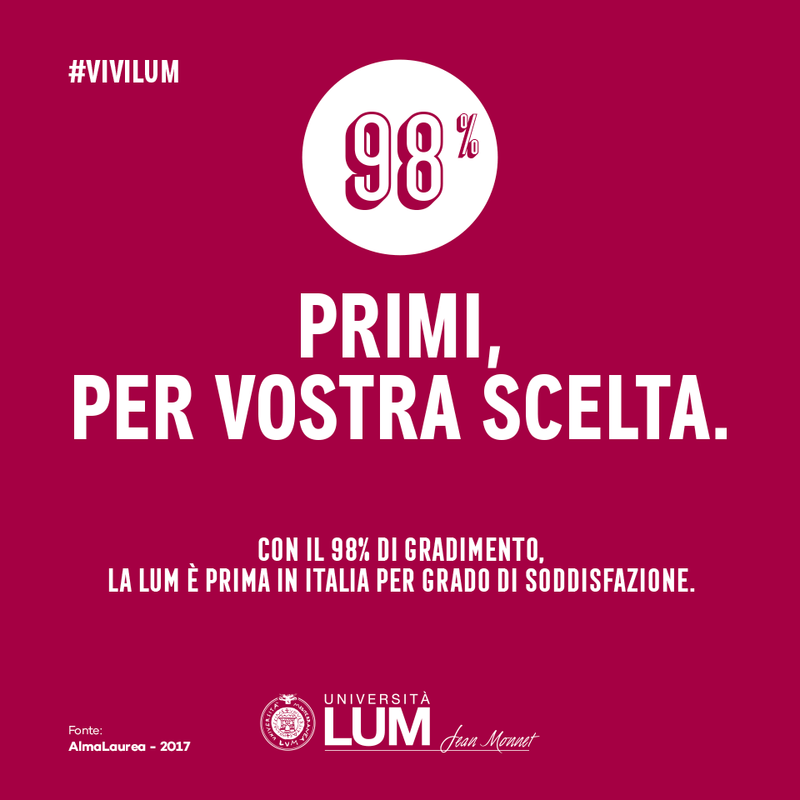 What is the secret of LUM’s success? 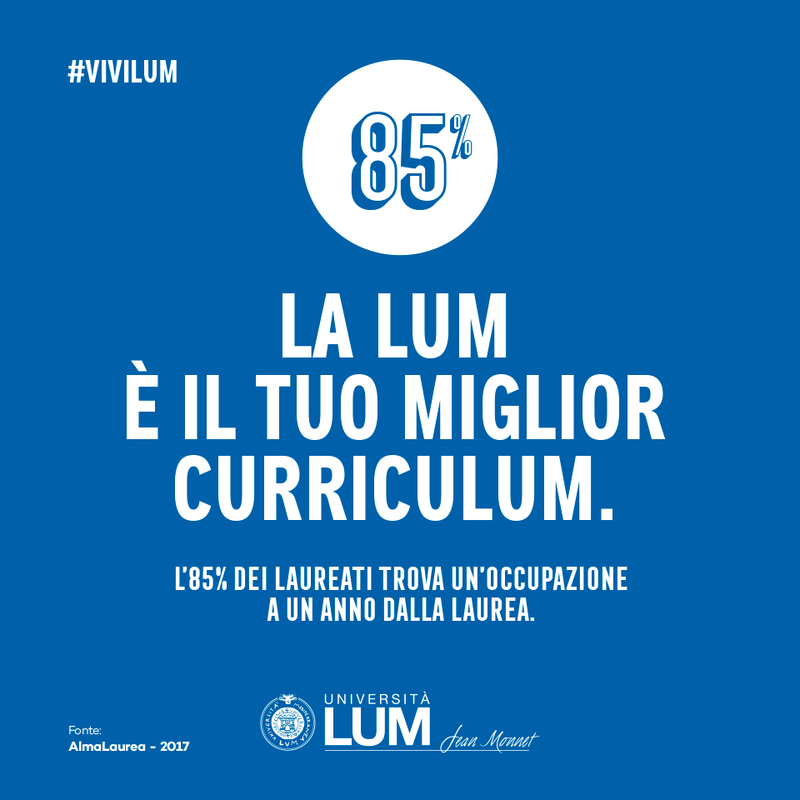 The quality and availability of lecturers, the international reputation of supervisors, the excellence of its didactic offer and, not least, its personality. 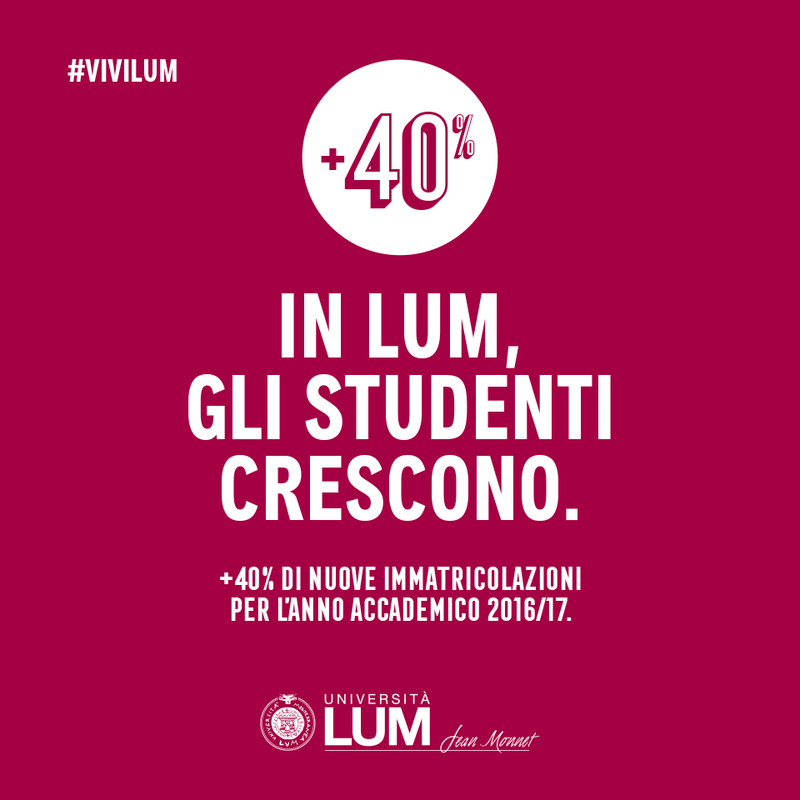 We have created and told this “lifestyle” that makes it unique and different from the others through its protagonists: young people who have chosen the University and who are, every day, witnesses of its value. 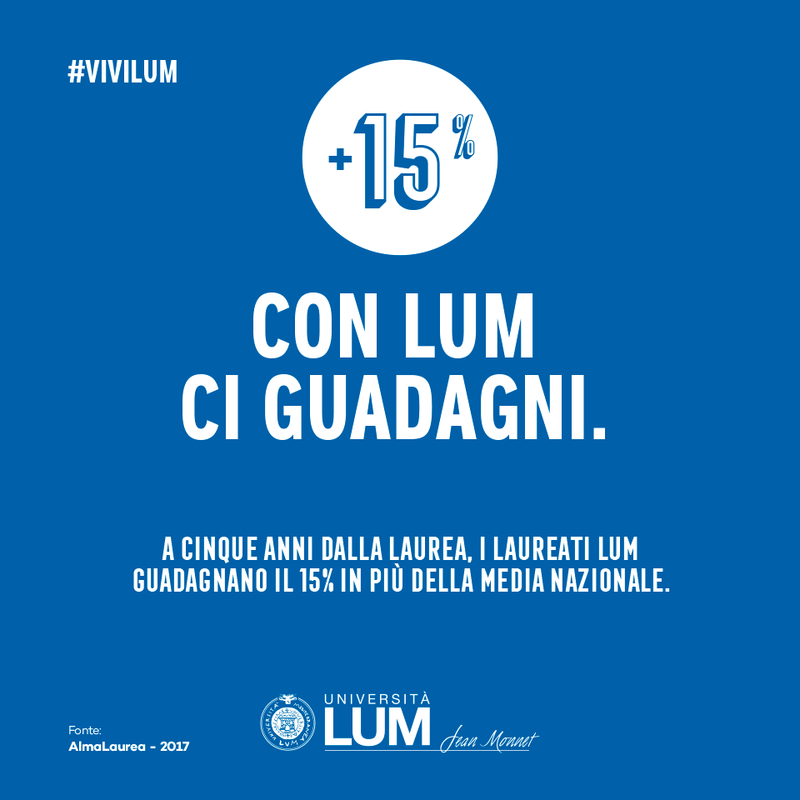 Hence the birth of the multi-subject campaign “Vivi LUM”: a unanimous story in which students and lecturers take the floor to communicate, personally, the points of strength of LUM. A storytelling integrating several channels and that transforms itself into only one narrative stream.